It takes a quite a bit of drive to become an NBA dancer. How much? About 41,000 miles. 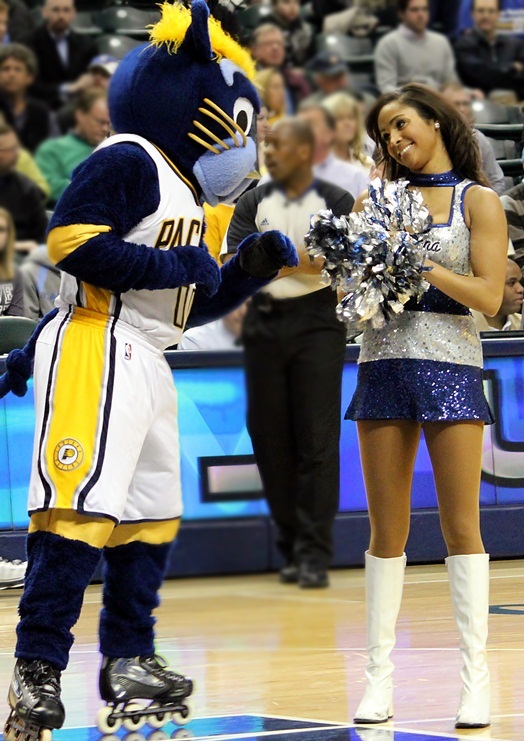 Last season, that is how many miles Shea of the Indiana Pacemates put on her new car, driving to and fro, cheering for the Indianapolis-based Pacers while still living in Ohio. See, Indianapolis is not exactly a couple miles from Ohio, so being a Pacemate from the Buckeye State not only meant extreme dedication, but miles and miles of, well, not exactly the most scenically scintillating drives one will ever encounter. But her drive and dedication definitely paid off for both Shea and Indiana’s sports fans. As a rookie Pacemate, the broadcast journalism grad and PR grad student was also prominently visible as a Pacer game emcee, and this lead Shea to fill the same role for baseball’s Indianapolis Indians, the Triple-A affiliate of the Pittsburgh Pirates. Now in her second season as both a Pacemate and Indians emcee, Shea is like the Bo Jackson of game entertainment (could have said “the Michael Jordan,” but, sorry MJ, Shea is better in her baseball role than you were). 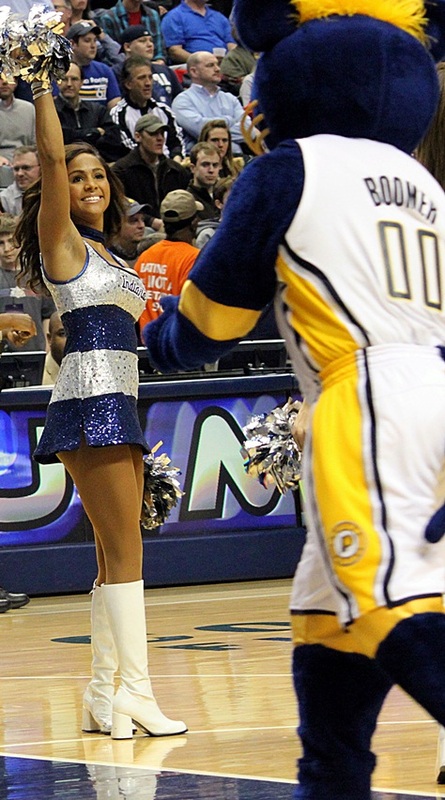 How does a dancer from Ohio decide to try-out for the Pacemates, then become an NBA game host during her rookie season, which then turns into a baseball gig?  Shea shared with UltimateCheerleaders.com the steps in her journey, so far.